I have always loved a good deal so shopping at the Dollar Store is a regular hobby of mine. I have recently picked up a few plates and decided to put my Sharpie markers to good use and try to design my own plates. This is a fun activity for the kids to take part in and a great way to keep groups of kids busy at parties, too! 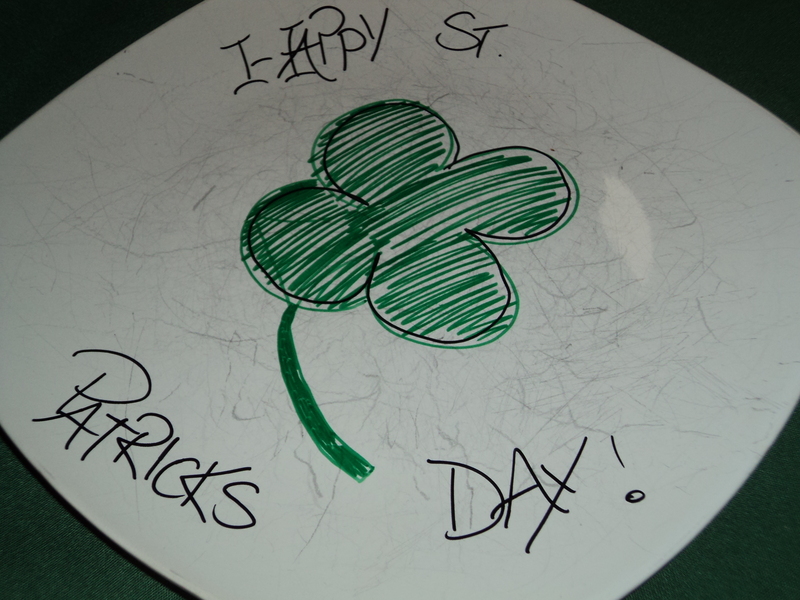 When the parents come to pick up their kids from the party they will be delighted with this DIY Plate Design Craft. You can have each kid outline their hand, in pencil of course, and then add the marker on top for a great keepsake to give to mom. 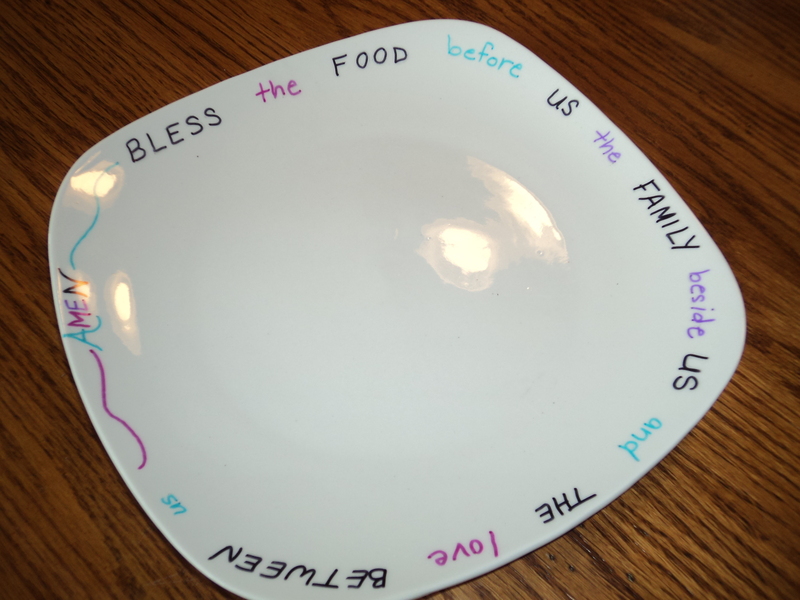 You can add lyrics to a favorite song or a prayer on your plate like I did here. 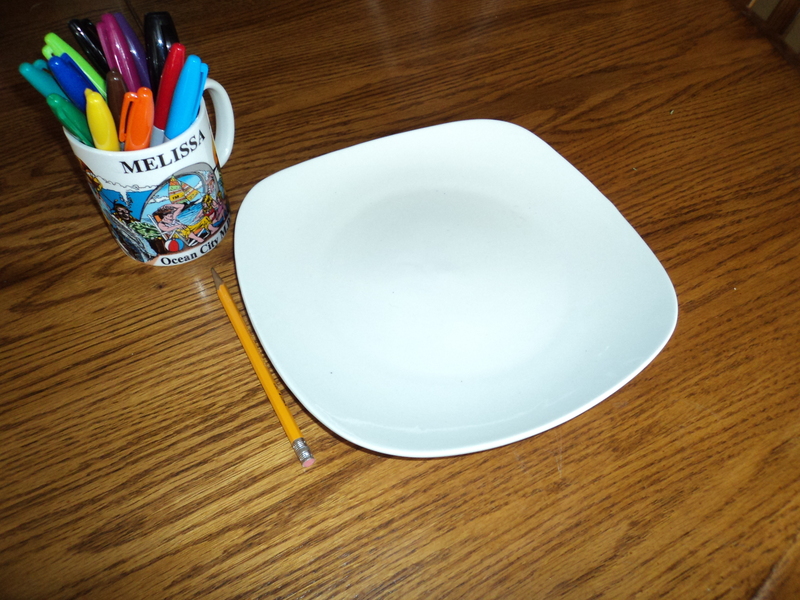 I wrote out what I wanted the plate to say in pencil then I went over very carefully with the Sharpie. After drawing your design or adding your words on the plate, pop it in the oven at 400 degrees for about an hour. This will set the design and make it permanent. You can now use and wash your plate when needed and keep your design forever. On those holidays when you are not quite sure how to celebrate and don’t have anything fun planned, this would be perfect. This method can be used on cups, bowls, serving trays, and anything else you can think to personalize. 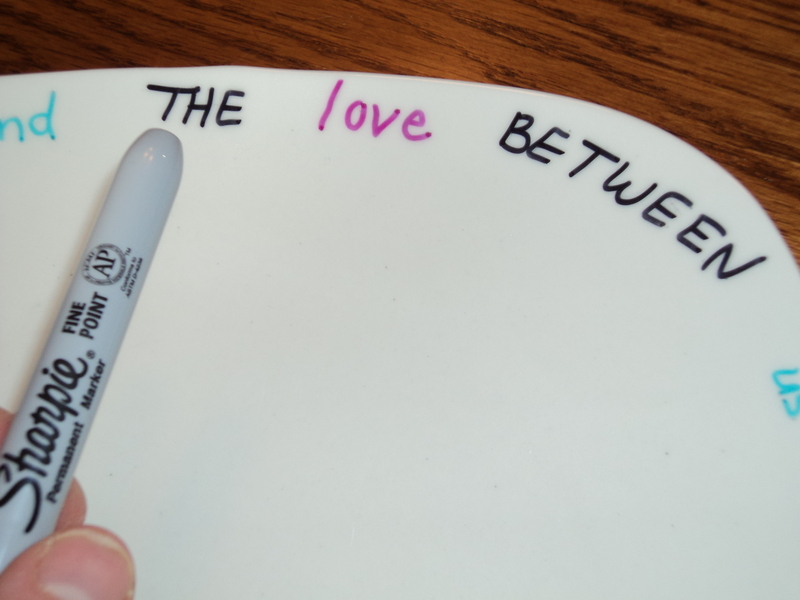 For a wedding anniversary or a babies first birthday, writing someone’s name or special date on a set of dishes is a great present. Purchase a whole set at the Dollar Store or Amazon and you can give a one of a kind gift that they can use over and over again for such a reasonable price.